US HealthWorks, Inc. is an American health care provider network with headquarters in Valencia, California. Founded in Southern California in 1984, LA Fitness continues to seek innovative ways to enhance the physical and emotional well-being of our increasingly diverse membership base. Today, their state-of-the-art clubs span the continent and they're still expanding. Their strong and successful growth stems from their commitment to understanding and meeting the distinct needs of each community they serve. With their wide range of amenities and a highly trained staff, LA Fitness can provide fun and effective workout options to family members of all ages and interests. Hoag is a not-for-profit regional health care delivery network in Orange County, California, that treats nearly 30,000 inpatients and 350,000 outpatients annually. 2904528 Tri-City Medical Center, founded in 1961, is a full-service, acute-care public hospital in Oceanside, California. Verity Health System of California, Inc. owns and operates hospitals and medical foundation in Northern and Southern California. Additionally, it operates ambulatory surgery and urgent care centers, and hospital-based physician clinics. Verity Health System of California, Inc. was formerly known as Daughters of Charity Health System and changed its name to Verity Health System of California, Inc. in December 2015. 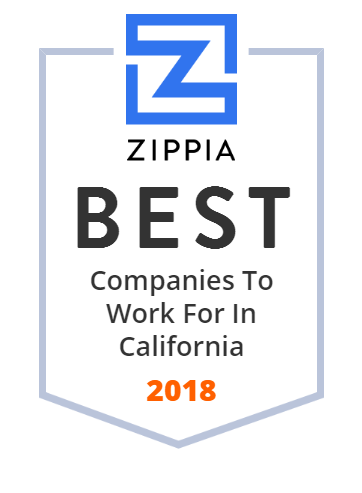 The company was founded in 2002 and is headquartered in Redwood City, California with an additional office in Los Angeles, California. Located between Sony Studio Pictures and the City Hall of Culver City, Southern California Hospital at Culver City serves the communities of West Los Angeles. John Muir Health is a health care service headquartered in Walnut Creek, California and serving Contra Costa County, California and surrounding communities. The Eisenhower Medical Center is a not-for-profit hospital based in Rancho Mirage, California serving the Coachella Valley region of southeastern California. Kokoro, LLC manufactures, distributes, and sells natural progesterone products for both women and men. Candela Laser Corporation is an American laser company that develops and sells medical lasers for cosmetic use located in Wayland, Massachusetts. Take the guesswork out of corporate nutrition. Get personalized, healthy eating recommendations based on biometrics, preferences and dietary needs. The KPC Group is a global leader in healthcare, pharmaceuticals, education, engineering and real estate. KPC Health, a division of the KPC Group, has established a group of integrated healthcare delivery systems consisting of acute care hospitals, Independent Physicians Associations (IPAs), medical groups, urgent care facilities, and various fully integrated multi-specialty medical facilities throughout the western United States. KPC Health employs highly skilled, advanced trained, expert physicians, nurses, information technology specialists and staff. The company is headquarted in Santa Ana, CA. Hinge Health is pioneering digital care programs for people with chronic back and joint pain. We're hiring! Jenny Craig, Inc., often known simply as Jenny Craig, is an American weight loss, weight management, and nutrition company. Ellipsis Health uses Artificial Intelligence to improve behavioral health through the analysis of natural conversation. Parkview Community Hospital has been providing quality, compassionate healthcare to the Riverside residents and surrounding communities for 60 years. With over 450 physicians and 900 employees, their healthcare professionals use the latest technology and equipment, while continuing to focus on the most important part of the healing process - the human touch. ZELTIQ Aesthetics, Inc., a medical technology company, engages in developing and commercializing non-invasive products for the selective reduction of fat. The company offers CoolSculpting system, which utilizes proprietary controlled cooling technology to selectively reduce stubborn fat bulges. It sells its products through a direct sales organization, as well as through a network of distributors to dermatologists, plastic surgeons, and aesthetic specialists primarily in North America, the Asia-Pacific, Europe, and Latin America. The company was formerly known as Juniper Medical, Inc. and changed its name to ZELTIQ Aesthetics, Inc. in July 2007. ZELTIQ Aesthetics, Inc. was founded in 2005 and is headquartered in Pleasanton, California. As of April 28, 2017, ZELTIQ Aesthetics, Inc. (NasdaqGS:ZLTQ) operates as a subsidiary of Allergan plc. Evidation Health helps healthcare companies quantify outcomes in the digital era, with real life data from connected patients. Doctors Medical Center of Modesto is a full-service, comprehensive healthcare facility, dedicated to providing the finest medical care for the Stanislaus County community. From preventative and diagnostic services, to expertise in some of the world's leading technologies, DMC's multidisciplinary team of physicians and healthcare professionals is dedicated to your good health and well-being. DJO Finance LLC develops, manufactures, and distributes medical devices used for rehabilitation, pain management, and physical therapy worldwide. Its Bracing and Vascular segment offers rigid knee bracing products, orthopedic soft goods, cold therapy products, vascular systems, therapeutic shoes, and compression therapy products under the DonJoy, ProCare, Aircast, Dr. Comfort, Bell-Horn, and Exos brands. This segment sells its products to orthopedic and sports medicine professionals, hospitals, podiatry practices, orthotic and prosthetic centers, home medical equipment providers, and independent pharmacies, as well as through online. The company s Recovery Sciences segment offers bone growth stimulation products under the CMF brand; clinical electrotherapy devices, clinical traction devices, treatment tables, continuous passive motion devices, and dry heat therapy under the Chattanooga brand; and Compex electrostimulation device. Its Surgical Implant segment offers knee, hip, and shoulder implants for the orthopedic reconstructive joint implant market. This segment also provides elbow implant product under the Discovery Elbow System brand; bone cement under the Cobalt Bone Cement brand; cement mixing accessories under the Optivac brand; and pouches under the SoftPac brand. The company s International segment sells its products and third party products through direct sales representatives and independent distributors. Its products are used by orthopedic specialists, spine surgeons, primary care physicians, pain management specialists, physical therapists, podiatrists, chiropractors, athletic trainers, and other healthcare professionals to treat patients with musculoskeletal conditions; and athletes and patients for injury prevention and at-home physical therapy treatment. The company was formerly known as ReAble Therapeutics Finance LLC. The company was founded in 2006 and is headquartered in Vista, California. DJO Finance LLC is a subsidiary of DJO Global Inc.
Voyage Medical Co., Ltd is a professional supplier of rapid test . The rapid test includes: pregnancy eugenic diagnosis, tumor marker testing, drug abuse testing, infectious diseases testing, blood glucose testing. Committed to providing the best healthcare for San Ramon. Contact us at 915-577-8467, find a doctor, check-In online, register for upcoming events and more.